Obviously I am stoked on my cross bike. 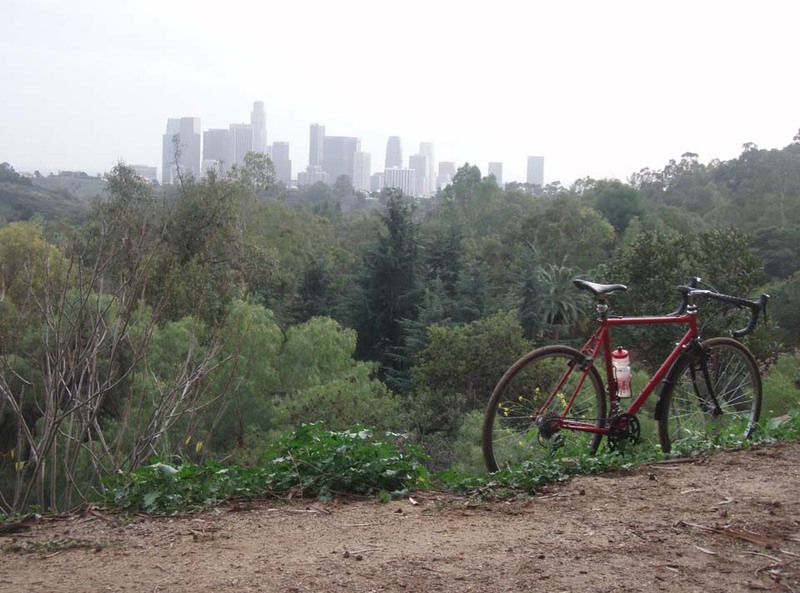 Yesterday I rode to Elysian Park (the park that surrounds Dodgers Stadium) with the intent of doing a 1.5 hour trail run. Then I hit some trails on the bike. Then some other trails. I ended up riding for 1.5 hours. 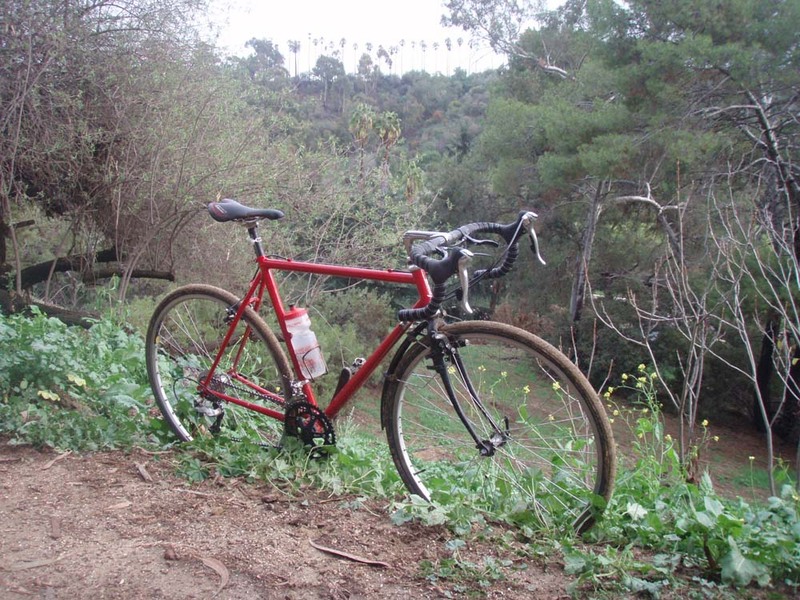 It is so much fun to ride a cross bike off-road. It’s not as easy as a mountain bike. You constantly have to focus because it is faster and the lines the bike can handle are limited. When you hit pavement it is not as tedious and sluggish as a mountain bike. The perfect bike? Steevo recently posted about woods in the city in the winter, so I thought I’d shoot some photos of urban trail riding (in not quite woods in not quite winter). This is a few miles from downtown LA and my house. Luckily those clouds didn’t produce rain while I was out. It’s 600 acres big and touches Echo Park (the neighborhood), Chinatown and Chavez Ravine. The Eastside of the park is known as a cruising spot for young gay men. Lots of people walk dogs here. Most people are walking at least two at a time. The female to male ratio is at least 4:1. The likelihood of a female walking a dog is probably 75%. Matt: Glad you’re discovering that mountain bikes are overkill 99% of the time. Check out the blog I’ve gotten started in that regard, an echo of a series of articles I published on this topic many moons ago. http://any-bike-anywhere.blogspot.com/We're working on some events and adventures, too, for “Rough Stuffing,” See you out there!